When a topic is taboo in society, behavior may be irrational. Consider how AIDS is handled in China. A man who does not have AIDS but was mistakenly diagnosed as HIV+ has been able recently to successfully file a lawsuit for damages. Those who do have AIDS and seek help from the state are harassed and surveilled, with their lawyers denied to them and minimal aid offered. But while there is certainly ignorance and prejudice surrounding AIDS in China, the suppression of AIDS activism may also be linked to an ongoing scandal. 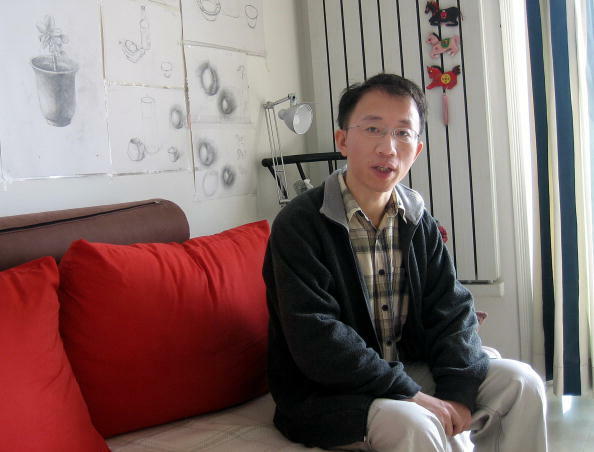 Ouyang Jiu, a resident from Chengdu, the capital of Sichuan Province in southwestern China, recounted how he led a miserable life ever since he was diagnosed with the HIV virus at the Chengdu disease control center in December 2008, just a few months before his planned wedding, reported the Chinese state-run news website The Paper on Dec. 6, a few days after World AIDS Day, which falls on Dec. 1. In fact, the Chengdu center did not test his blood sample, but had only sent it for testing at the provincial disease control center. After waiting for years for the virus to claim his life, Ouyang was surprised that he still felt healthy in December 2015, and decided to have his blooded tested for the second time—this time at the West China Medical Center of Sichuan University. He was shocked to learn that he tested HIV negative. He decided to get tested for the third time to confirm. The test was done at the disease control center at Jinniu District, one of nine districts in Chengdu, also showed he did not have HIV. A disgruntled Ouyang then reached out to both the Chengdu and the provincial disease control center. They still had Ouyang’s blood sample from 2008, and it still tested HIV positive. It turned out that the Chengdu disease control center had mixed up an HIV-positive blood sample with Ouyang’s blood sample. On Dec. 5, Ouyanag filed a lawsuit at Wuhou People’s Court in Chengdu against the Chengdu and Sichuan disease control centers. Ouyang claimed that as a result of the fake diagnosis, he was still not married and even spent his mother’s retirement money to live the rest of his life, thinking he did not have many years left. He demanded that the defendants publish an apology letter in the provincial newspaper and on the internet, in addition to paying an unknown sum for monetary loss and psychological trauma he had suffered since 2008. The court has since issued a mediation notice, asking Ouyang and the centers to settle within 30 days, before litigation proceedings formally start. Many netizens have shown sympathy on Chinese social media to Ouyang’s plight. But the Chinese media coverage of Ouyang’s misfortune is a stark contrast to the experiences of real HIV/AIDS victims in China—they do not get favorable news write-ups and Chinese authorities ignore them, or worse. On World AIDS Day, Sun Ya, an HIV/AIDS activist affiliated with the Beijing-based Aizhixing health rights group, said that he did not dare to take part in public events supporting the rights of HIV/AIDS victims because he and other victims had been pressured by Chinese authorities. Their communications were also being listened to, he told Radio Free Asia. “People are routinely getting detained, and all of the lawyers who used to stand up for us are being taken off [such cases] for a variety of reasons,” Sun told RFA. The suppression of activism on World AIDS Day is part of an ongoing suppression of rights activists’ attempts to help AIDS sufferers. According to the RFA article, employers discriminate against AIDS sufferers, and many people with HIV/AIDS are given a monthly handout of just 200 yuan (about $30). The amount is hardly enough to help victims survive. In China, there are two AIDS epidemics. One is spread by sexual contact or through drug use, the other is spread through contaminated needles at blood donation centers, where poor farmers go to make a few extra dollars. The farmers known to contract AIDS in this way have been clustered in Henan and Anhui provinces. 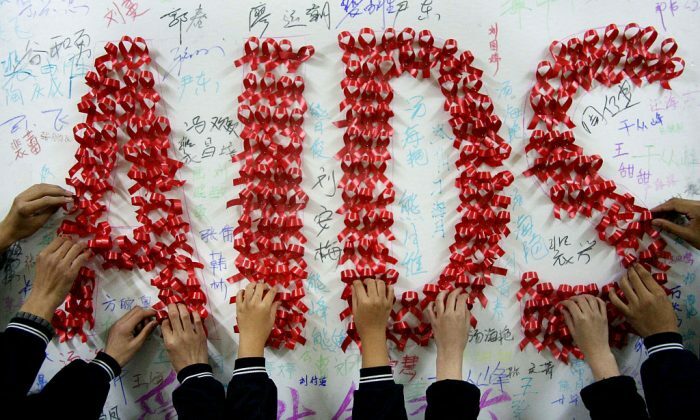 “In the regions where there is a high incidence of HIV/AIDS, such as Henan and Anhui, but mostly Henan, in all the years of advocacy work since 2001, I have yet to hear of a single victorious lawsuit in the area of HIV/AIDS and government compensation,” Hu Jia, a Beijing-based rights activist, told RFA. Chen Bingzhong, former head of the national health education institute, wrote in an open letter to then-Party leader Hu Jintao in 2010, that there were at least 100,000 people suffering from HIV due to contamination from selling blood plasma in the 1990s. The Xinhua report, citing statistics by China’s Center for Disease Control and Prevention, said 747,000 people currently live with HIV/AIDS in China, as of the end of September 2017, an increase of 93,000 from the same time a year prior. Sexual transmission accounted for 94 percent of infections, while intravenous drugs infection and mother-to-child transmission rate were relatively low, according to Xinhua. In China, official numbers are often not reliable, and Xinhua’s AIDS numbers are disputed. U.S.-based dissident doctors told RFA that a network of blood-selling clinics are still operating in poorer parts of the country and account for the majority of the new AIDS infections. If so, then perhaps the state’s heavy-handed tactics are meant to keep this scandal under wraps.